I had the opportunity to share my insights on the behaviors of leaders who embrace change as part of Harvard Business Review series Competing in the Future. To read the article, click here. After you’ve read it, let HBR and me know what you think in the comments section. We often talk about leadership styles and leadership behaviors but don’t often talk about our leadership philosophy. However, it is a critical part of understanding ourselves as a leader. It is this underlying philosophy that has broad impact on our actions as leaders. Leadership philosophy is a concept I’ve learned from my colleague Michael Maccoby. We all have a life philosophy. Our life philosophy is a way of putting our values together to guide how we behave. We knowingly or unknowingly live our lives in accordance with this philosophy. A leadership philosophy integrates our organizational purpose with the practical values and moral reasoning which you believe are essential to achieving that purpose. It also includes how we define and measure results. Effective leaders are very aware of their leadership philosophy. They not only communicate their philosophy, they can be trusted to act in accordance with that philosophy. 1. What is the purpose of our organization? 2. What is my purpose as a leader? 3. Which organizational values support that purpose? 4. How do my personal values align with these organizational values? 5. What ethical and moral reasoning do I expect from myself and my people? Do we work simply to avoid punishment and gain rewards? Do we operate in terms of what is good for my organization and myself without regard for my impact on others? Do we function in a way that benefits or does not harm all those who may be impacted by our actions? 6. How do we define results? Is this consistent with my leadership philosophy? Once you’ve crafted your philosophy, validate that it is meaningful to you. Read it several times over the next two weeks. Does it resonate with you? If someone asked you, would you stand behind its representation of you to others? On websites or internal company portals and communities, there is a tab or tile that says “Our Values”. They are there for everyone to see when and if they choose to look at them. We use them to inform prospective employees, our current team, and business partners about who we are and what we’re about. Yet, according to a recent PwC survey, 63% of CEO’s want to increase communication to stakeholders about values and purpose. Before jumping into another communication plan full of town hall meetings, email blasts, etc. to get the word out about your organization’s values, I encourage leaders to take a step back and look at how else they are communicating or not communicating the values. Do your values make sense? Many of you will look and say, “Of course they do.” However, if your actions and the way you run the business are saying one thing and the words are saying another, then the answer is no, they don’t. These questions can help you decide if your reality is meeting the aspirations of your values. How well have they been integrated into your business strategy? 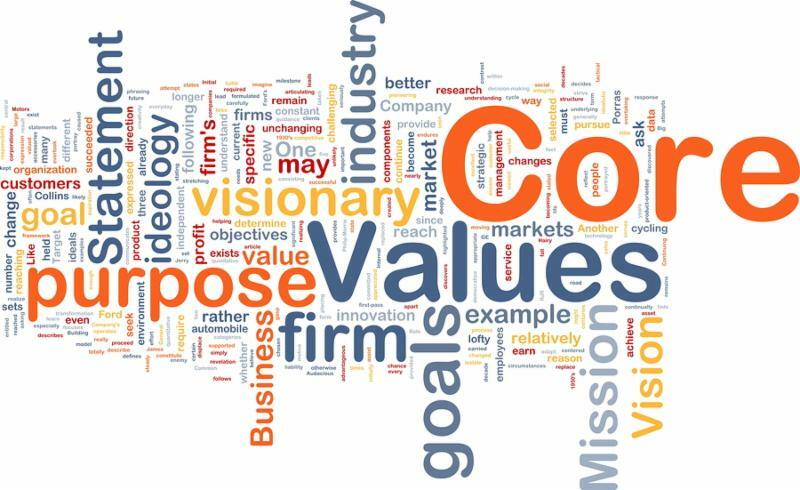 Can your stakeholders see how the values are playing out in your business strategy. When someone looks at TOMS or Life Is Good’s business strategies, their is no doubt what their values are. Do you look for them in who and how you hire? It’s one thing to say that you have certain corporate values. It’s another to overtly make them part of your hiring and onboarding process. Can I see them in the way you manage talent? Nothing kills the credibility of a value statement more quickly than saying, for example, that we value collaboration, innovative thinking, and the power of great ideas only to then promote and recognize the people who get results while completely disregarding your stated values. Are they part of our decision making? When tough decisions need to get made, are the values one of the key factors considered? You see, it’s one thing to say what you value. It’s another to make them come alive. There are two things I’d like to share with you this week. First, last fall I had the opportunity to talk with Tim Autrey of HPA Journal about Getting Real. We talked about how to create sustained motivation and engagement, why there is an “I” in team and why leadership can be so challenging in today’s environment. I share some ideas and tips that anyone can use and apply immediately. I thought you might like to read the interview in the HPA Journal’s summer issue. Second, I know many organizations and companies are looking for speakers for meetings, events, conferences and I’m answering the call! If you or someone you know is looking for an engaging speaker, whether it be for an hour or a day, I’d welcome the opportunity to talk more about it. For more information or to contact me, click here. 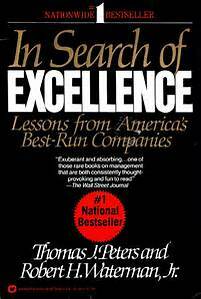 Back in 1982, Tom Peters went In Search of Excellence and profiled 40+ companies who were examples of excellence. If we look back at that book some of the companies are gone now or are not what we would hold up as examples of excellence. That’s because excellence is not an end state. It’s an organizational state of being that’s characterized by continuous movement in pursuit of ever-higher achievement. In a culture of excellence, you are never done or…you never quite arrive. The drive for excellence — for continually improving on even our most outstanding achievement — when paired with the compelling clarity I spoke about in my last newsletter sets the stage for achieving or even exceeding the goals defined in the strategy. The question is how do you create a culture of excellence and performance? Excellence is about self reflection: Without knowing who and where you are in your journey, it is difficult to continually pursue ever higher levels of personal or organizational achievement. What values are of core importance to me? How do I add value? What values are core to the organization? How do we add value for our customers? Am I clear where I am taking my organization? Am I communicating a standard of excellence? Excellence is about setting the expectation for excellence: In environments that achieve excellence, the standard for it is communicated broadly throughout the organization. The communication isn’t just verbal. 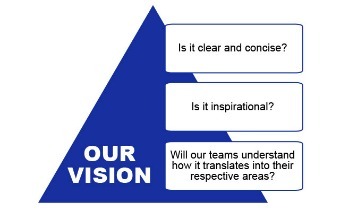 It’s communicated in goals and objectives. It’s communicated in everyday actions. 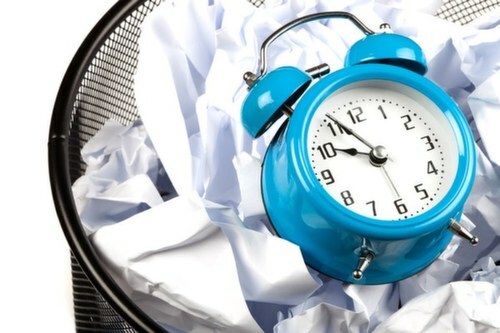 It’s communicated in the quality of anything that’s produced, from emails and meeting agendas to products and services. It’s communicated in processes that focus on continual improvement. Excellence is about creating a culture that looks at behaviors and results: Cultures that only look at results can become toxic. It can be too easy to turn a blind eye to unacceptable behavior because “hey, he/she gets results.” Leaders need to be as concerned with how people achieve results as with the results they are achieving. How do we meet our customer’s expectations, meet our business goals and behave ethically and with excellence? What behavior do we hold up as the gold standard in the pursuit of results? What behaviors are completely unacceptable? Excellence is about tapping into each person’s drive for excellence: The neuroscience of excellence tells us that higher and higher performance comes from the need to direct our own lives, to create new things and to improve ourselves and our world. 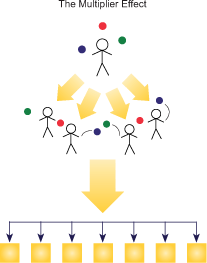 In his book, Drive, Daniel Pink talks about tapping into the third drive — the drive produced from engagement in the task itself when the task allows us to experience autonomy, mastery and purpose. Too many of our organizations are using what Pink calls the second drive – the carrot and the stick – to try to create higher levels of achievement. What we know is that this only takes achievement to the level of what one needs to do to get a reward and to avoid a negative consequence. It doesn’t lead us to excellence. Excellence is about improving those around you and managing performance: As the saying goes, the tide lifts all boats. In order to instill a culture of excellence, leaders need to manage performance and development proactively by praising excellence and having the difficult discussions that are needed to improve performance. Too often we short circuit the ability to achieve excellence because we are unable to give the difficult feedback that allows others to build their capacity to contribute. Unfortunately, many of our performance management practices also drive a trend towards mediocrity by relying too much on the carrot and stick.